The ultimate in performance and comfort. Combines our patented Targeted Compression with Max Cushion for added impact protection. Different from other Elite socks, iWick Polyester fibers deliver a softer feel and extra cushioning. Targeted compression in the arch delivers enhanced fit. 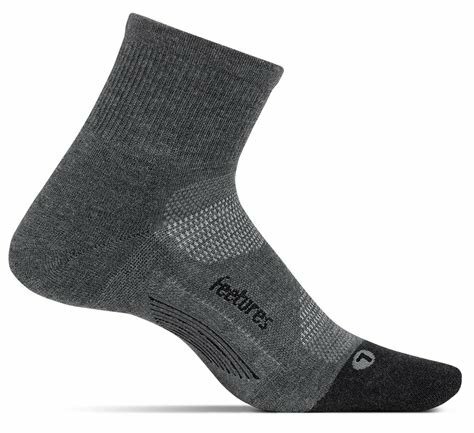 3" Quarter length offers the perfect amount ankle protection from rocks, dirt, and mud.